Over-the-top celebrity shindigs in aeroplane hangars, low-key cocktails and canapés for 30 people, fairytale weddings, gala dinners, birthdays, bar mitzvahs and ‘‘biz’’ bashes. For more than 50 years, Peter Rowland Catering has organised countless functions from the ground up. There’s no such thing as too big or too small. They’ve perfected the recipe for successful functions and now share five of the key ingredients to help make your next function a success. First impressions will put your guests in a party mood. Add an element of surprise with the decorations, a fancy cocktail or some fun entertainment as guests rock up. It is a party after all and it needs to feel like a party. This doesn’t have to be expensive – use lots of candles, props to go with the party theme or hire cocktail glasses from your drinks supplier for colourful cocktails on arrival. Make sure guests get served a drink as soon as they walk in the door. It doesn’t matter if the party’s at home, in a glamorous venue or a shearing shed, make the most of the location’s attributes to create atmosphere. If you are at a venue, rely on the staff to know what works best. Even at home, create a variety of spaces where guests can gather in groups – include sitting areas and some standing areas around bar tables. Beg, borrow, or hire furniture if necessary. Ottomans and cubes are popular as they can be moved around. But doesn’t clutter the area – open spaces work well, provided there’s somewhere to put your drink! Buy the best you can afford. It doesn’t matter if you’re serving sausages or caviar, you want to get the best available. Don’t be tempted with pre-packaged oily party food in a bid to save some pennies. The food served to your guests reflects your event, and you want every mouthful to be enjoyed. Whether you’re after an elegant three-course dinner or innovative finger food, you want it to be memorable. If you are having your event catered, your caterer will advise on quantities. This avoids wastage and often works out more cost effective than trying to do it yourself. Music is an important part of the atmosphere and needs to be in full swing as the first guests arrive. Alive band or DJ adds to the atmosphere by encouraging guests to dance. If this is not possible, then a great selection of party music on your iPod shuffle will keep the tempo up. Depending on the type of function, hosting charity auctions, nostalgia games, fun activities or competitions can add to the entertainment – make sure you choose an MC who is confident and entertaining. It wouldn’t be a party without your guests. Recruit some help to look after the drinks so you are free to introduce guests and mingle with your friends. Be deliberate when deciding who to invite, making sure you’ve got some extroverts in the mix. If planning seating arrangements, try to balance guests in terms of their sense of humour, interests and relationships. Security and crowd control should not be overlooked. If you know some of the guests can get rowdy after a few beers, make sure you keep an eye on them. Several aspects come into picture when you plan a happening event. However, nothing could be more convenient than having a professional to do the tasks for you. 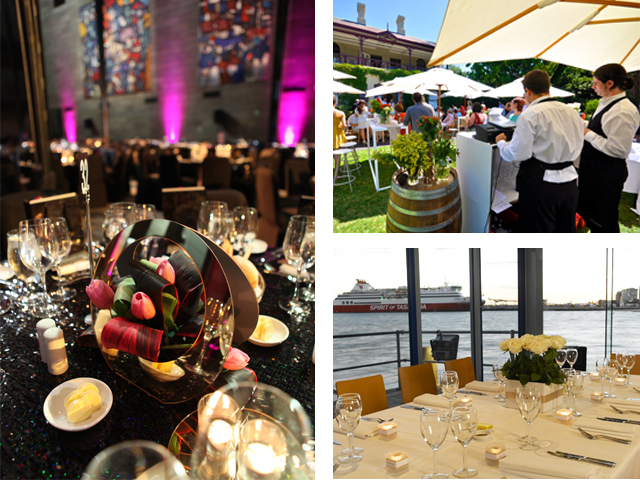 Hire a reputed event management company Sydney and make your dream come true.